Today, we are previewing the latest releases from Olga Ishenko at C.C. Designs. 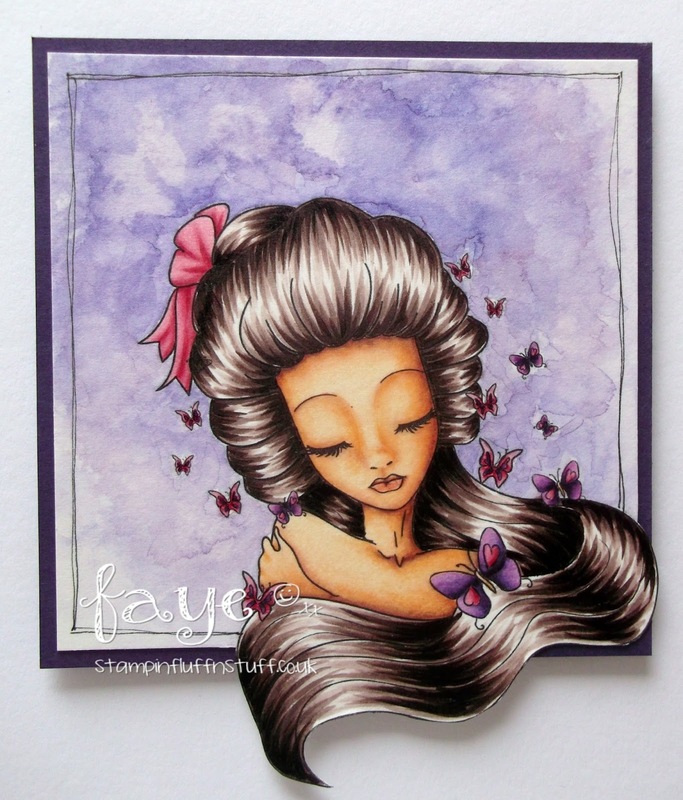 This beautiful lady is called Butterfly and you can get her from 12 Noon, EST, 05 June. I coloured the whole image on Watercolour Paper and I was pleasantly surprised by how well it worked with Copics. I'll definitely colour on this again if I want a water coloured background. Oh my goodness!! So Stunnnnnnning!!!! Wow! Stunning! Amazing coloring and I love the white space around the image, it's like a frame! 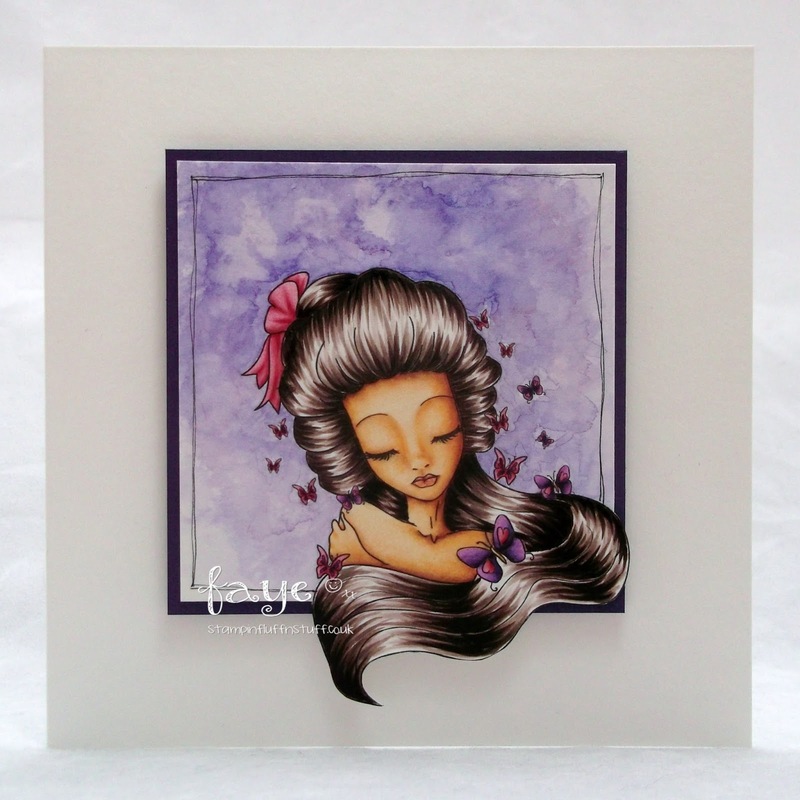 This is beautiful Faye I like the image and the colours. Well the image is super gorgeous.... but then that background.... definitely a WOW! Will have to give this a go!